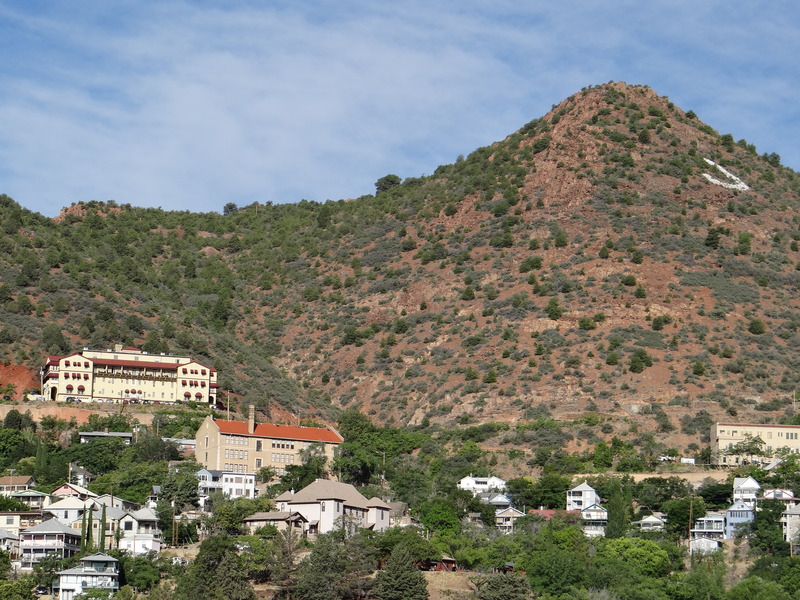 A recent treat included an interview and personal tour of a site for my manuscript “Inside the Gold Plated Pistol.” It’s 1927, Prohibition is in effect, and part of the story is at the copper mining town, Jerome, Arizona. A prevalent feature of any mining town are the ethnic saloons which brought news and respite to miners rotating in three shifts. 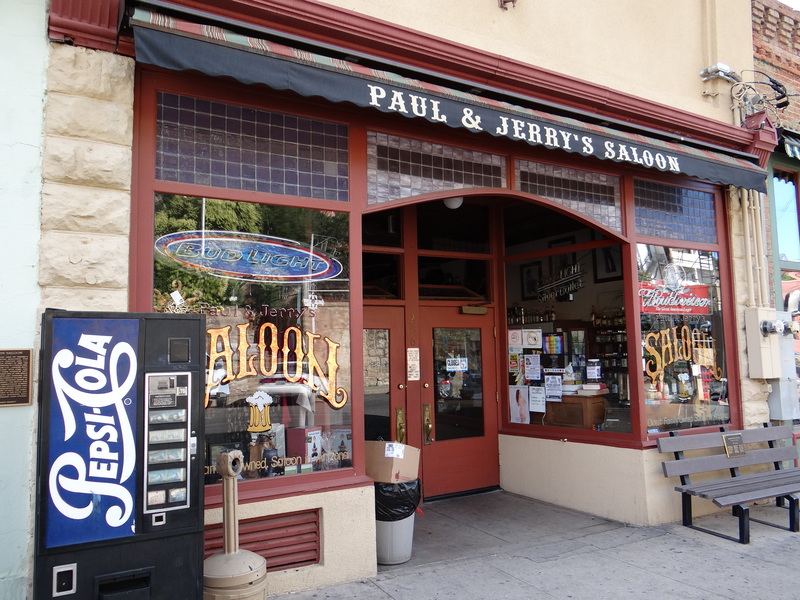 Paul and Jerry’s saloon still exists today. I asked Paul Vojnic’s son and grandson for their memories about the building built in 1899 and the partnership established in 1939. This saloon was a speakeasy. It inspires my descriptions for creating a legitimate setting true to mining, Jerome, and American life in 1927. During Prohibition, the upstairs area sold candy, soda-pop and cigars. 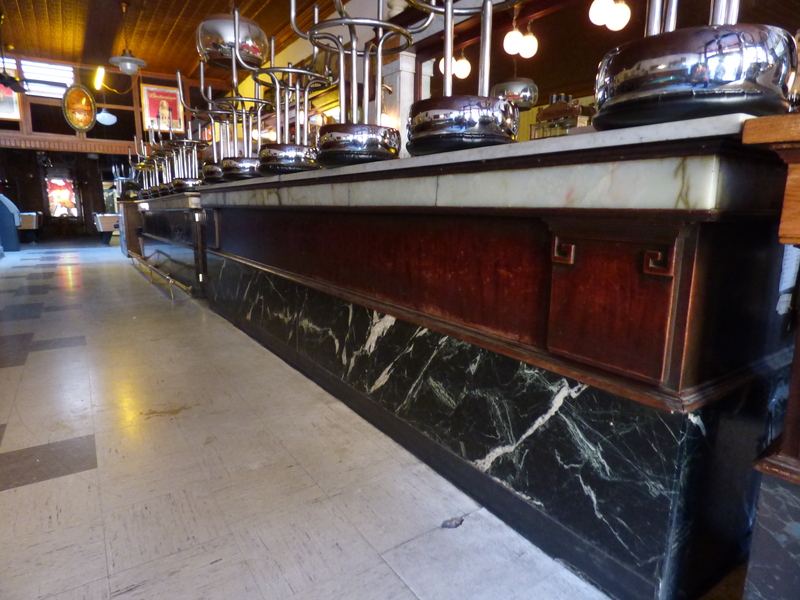 Downstairs, miners gambled and drank alcohol or ate at the Chinese-run restaurant. The bell on the basement wall is intact; if the police arrived upstairs, the bell warned drinkers to hide or take flight. The skeletal remains of one staircase connected to the front exterior of the building made it easy to come and go without much harassment. 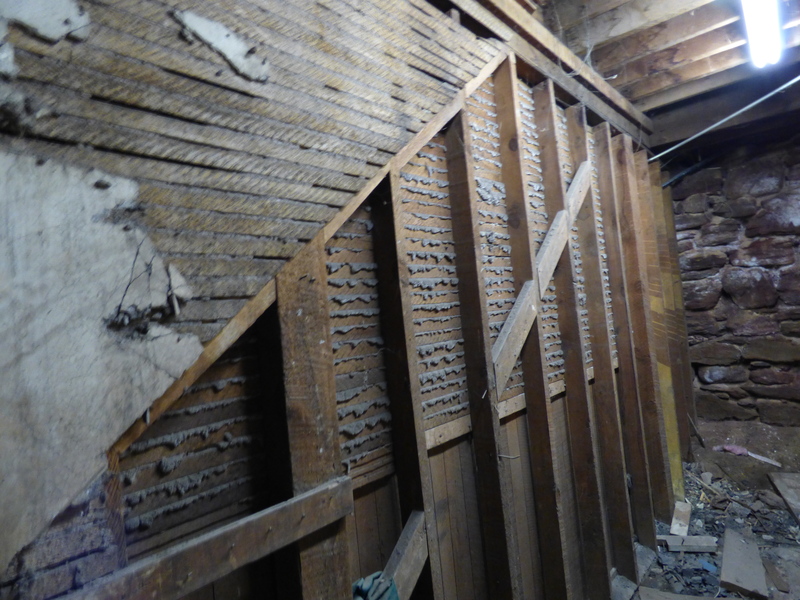 Once there was a staircase leading to the front exterior of the saloon. I wonder what it says? I’m interested in the immigrant culture of Jerome in 1927. 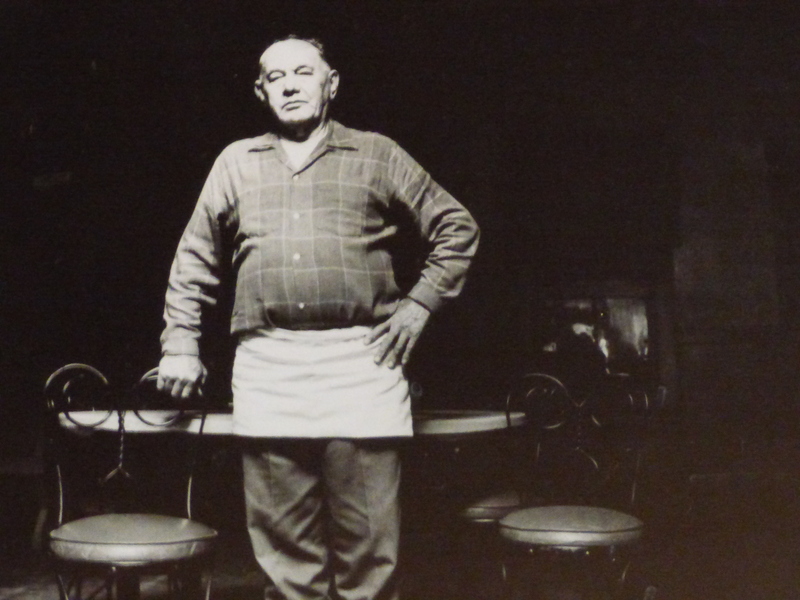 Research suggests among the many ethnic groups living in Jerome, there were Chinese families who ran restaurants, provided services like tailoring and cleaning, worked in the mine, and ran opium dens. I’d like to fictionalize a Chinese family. 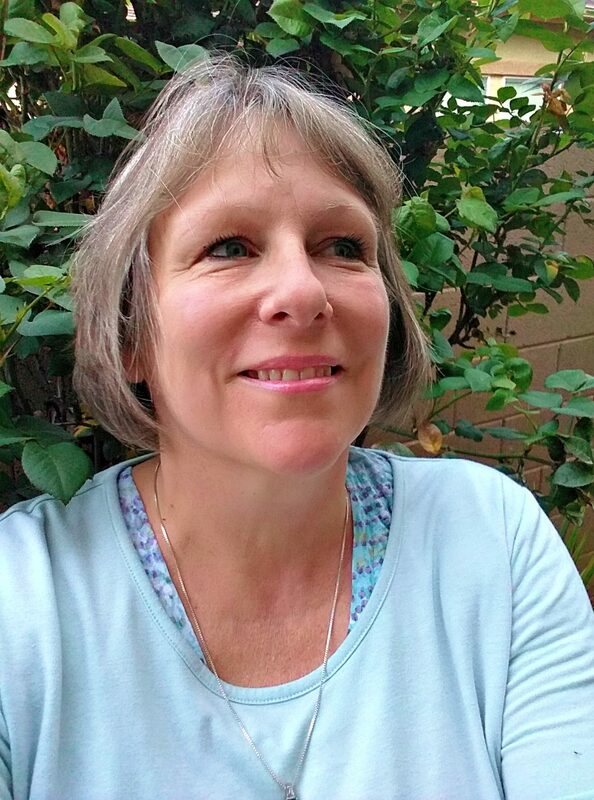 The Jerome Historical society, local narratives, and scholarly work aids in the creation. For example, I am fond of Robert Wheeler’s The Social Fabric I & II which contains essays by historians about American life. Professors Judy Yang and Sarah Deutsch present the Chinese and Mexican perspective in a way that substantiates the creative parts of my story. Around the block from Paul and Jerry’s Saloon is the Liberty Theater. From 1918-1929, Hollywood films and Vaudeville acts entertained the public. In 1927, the population was over 2,000. Today it’s around 550. The theater has been redone. Visitors can climb the back staircase up three flights to see the film projectors and equipment, the dressing rooms, and then down into the house which held over 100 people. It was calming to be surrounded by red velvet drapes, rows of seats, the organ, piano, and medium sized stage down in the front. Entertainment was highly valued in Jerome and still is today. The Vojnics told me that 2,000,000 people visit Jerome each year; it’s the third most visited destination after the Grand Canyon and Sedona. I believe it, for it’s crowded on the weekends. Parking is sparse, but worth the trouble to take in the vista views and explore three layers of streets cut into the side of the mountain. Next to investigate comes the process of copper mining and the billion dollar industry that made Mr. Clark an élite industrialist. Even more fascinating is his recluse daughter, Huguette Clark, who inherited the fortune and hid herself away from the limelight. Here is a SYNOPSIS of Empty Mansions. I’ve just stared reading it. Is she a female Howard Hughes? Interesting research for your upcoming book. Looking forward to reading it. Thanks, Nuwansen. It’s my favorite avocation. History is always far more entertaining than most people give it credit for. A prohibition era saloon in a mining town sounds like a great movie!! The synopsis was very good, but I could not get the link to Sally to work – sorry. Oh, really? Shoot. Let me fix that. Thanks, my friend! is there anythin’ purdier than a nice saloon? What an awesome treat indeed Cindy, must be very cool to do this kind of on-site research for your book. I don’t think I’ve been in a saloon before, esp something THIS historic. I could see why this town is popular on weekends, hope I could visit one day. Any time you want to visit, I’d be obliged!